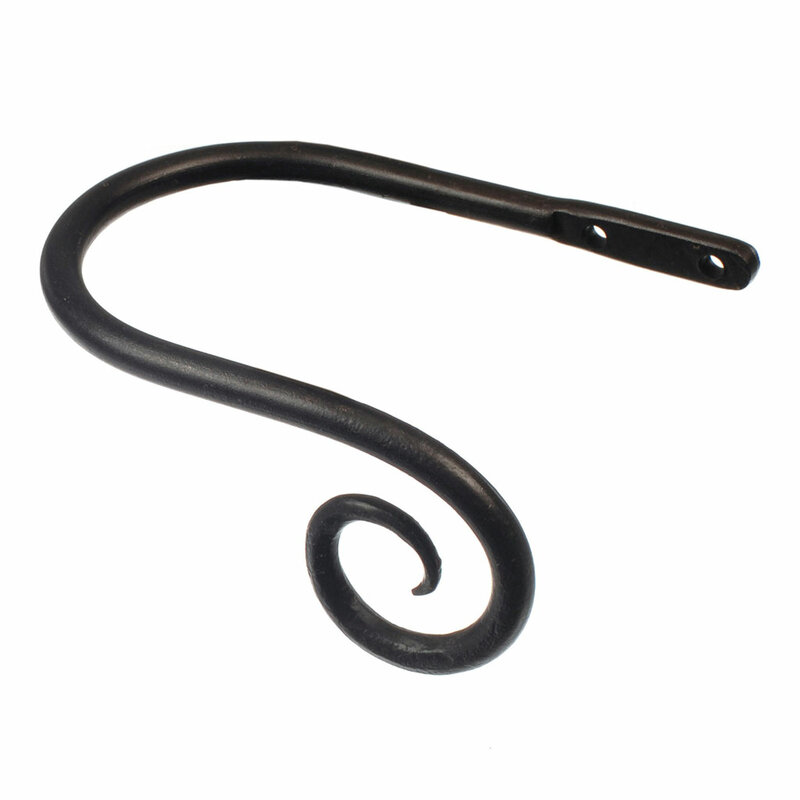 A hand forged, solid steel holdback to match our Crook finial. 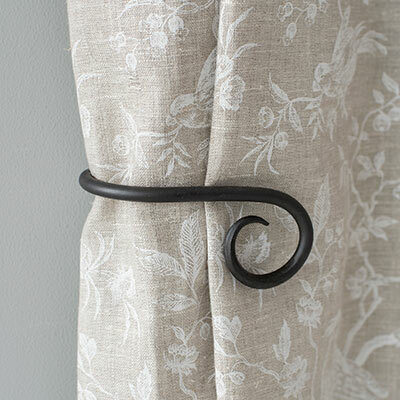 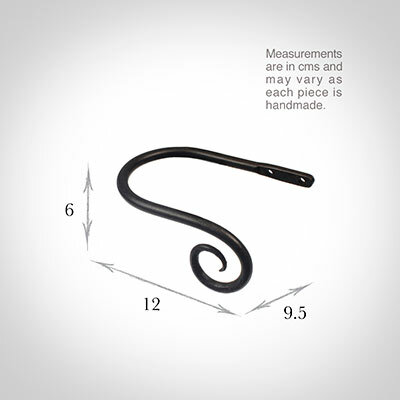 The holdbacks are available in two sizes: this smaller holdback is generally recommended where there is only one width of fabric in the curtain (or more if it is a very light, unlined fabric). The right side holdback sits to the right of the window when viewed from inside the room.